Maybelline is offer a $1 off coupon Great Lash Mascara on Facebook. Just "Like" them, click the get your great lash coupon, and print! This is one the most highly recommended mascara ever. 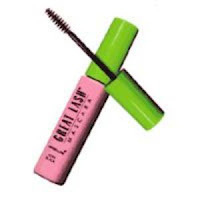 look in fashion, and style mags when they have reviews, and this is always the top rated mascara! it's great, I have always used it, and I remember being a little girl and seeing my mom using it as well. Get this quick before it goes away, it's a rare coupon!